The prevailing El Niño will push up food prices and affect livestock production in Southern Africa. Low rainfall and increased temperatures will lead to reduced agricultural output, a special alert released by the Food and Agriculture Organization’s Global Information and Early Warning System (GIEWS) said. The alert comes on the heels of last year’s disappointing season which has contributed to higher food prices and can badly affect the food security situation in 2016. The alert says, “A strong El Niño episode, declared in March 2015, is predicted to continue in early 2016 with potential impacts persisting well into next year. The weather phenomenon is historically associated with suppressed rains and higher temperatures in large portions of Southern Africa during the main cropping season (October-July), which can adversely affect agriculture, water resources and food security”. The maize planting season in the region has already witnessed delays. Crops that are already sown will be affected due to rainfall scarcity and higher temperatures. “Food security conditions are already stressed across the sub-region, driven mostly by the reduced 2015 cereal output,” the report adds. Here, small-scale farmers mostly depend on rainfall that makes their crops highly susceptible to climate variations, experts say. “Increasing households’ (agricultural households) resilience is the key to ensuring they can better prevent and cope with climate shocks. Increasing the resilience of livelihoods to threats and crises is one of FAO’s strategic objectives,” Jean Senahoun, economist at GIEWS, said. The possibility of another bad season spells trouble as it comes on the heels of a poor one that has depleted inventories, tightened supplies and pushed up food prices. The regional maize production fell by 27 per cent in 2015, triggering a sharp increase in the number of people already vulnerable to food insecurity. 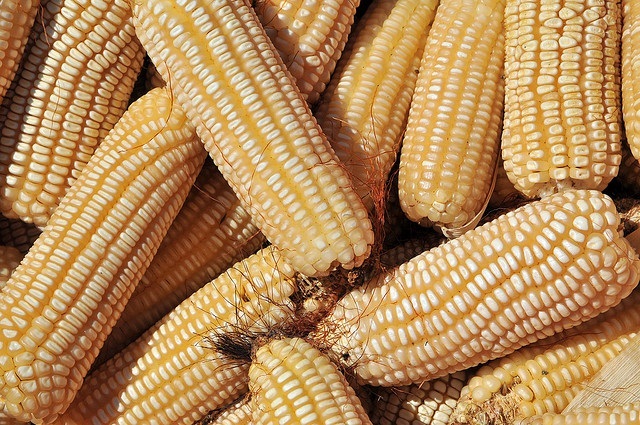 Maize is grown by 80 per cent of subsistence farmers in the sub-region. In an interview to Down To Earth, David Orr, regional spokesman for the UN World Food Programme in southern Africa, had acknowledged climate change to be a big challenge. “The most vulnerable are subsistence farmers who are prone to climate shocks. Extreme weather events are recurring and persistent. They are not isolated events and are increasing since the past 20 years. There is a need to introduce climate-smart agriculture and water conservation system to make local communities resistant to droughts and floods,” Orr said. “Climate smart agriculture is an approach that works through several dimensions to reorient agricultural development and management to take climate change into account,” Giacomo Branca FAO expert on Climate-Smart Agriculture said. When people talk about responding to climate change they generally divide it into two main categories: adaptation—which means responding to the effects of climate change and mitigation–which means reducing emissions so as to avoid further and more dangerous climate change. One of the main features of climate-smart agriculture is that it considers adaptation and mitigation together, always in the context of building agricultural systems for food security. Climate-smart agriculture explicitly looks for where there are synergies and trade-offs among food security, adaptation and mitigation. The significance of it in the African context stems from the fact that the continent is predominantly rural with many small-holder farmers, Branca told Down To Earth. My study in 1980s on Southern African rainfall generally show the below the average trend and thus temperature & evaporation/evapotranspiration goes up and thus increase the water needs of a crop. When there is El Nino or not this pattern effect the crop production.